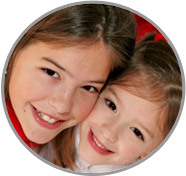 This Nanny Agency in Cumberland County will provide your family with only the most exceptional nanny for your family! Call today! ABC’s Nanny Agency in Cumberland County approves of Samantha’s eagerness to bring her education background into your home! Please call 717-221-1020 today to speak with a placement counselor and start your search at the perfect Nanny Agency in Cumberland County!